I firmly believe that freediving is sport where you performance is mostly determined by your technique. Any instructor can tell you what to do; I demonstrate why it’s in the student’s best interest to apply my techniques to their diving. With over a decade of instructional experience, I know first hand that everyone learns differently. I make sure to identify these differences and adapt my teaching method accordingly. Ted Harty begin his professional underwater career as a Scuba Instructor for PADI,NAUI, and SSI in 2005. In 2008 he took his first freediving class with Performance Freediving International. After that course on his days off he didn’t want to go scuba diving he wanted to go freediving, and realized his passion was freediving. In 2009 Ted took PFI’s first official Instructor program, and immediately started working for PFI helping Kirk Krack and Mandy Rae-Kruckshank teach courses all across the USA. Ted went to his first freediving competition in 2009 as an overweight out of shape scuba instructor and progressed from 80-90ft freediver to 177ft in 3 weeks. After the experience he wondered what he could do if he actually started training. 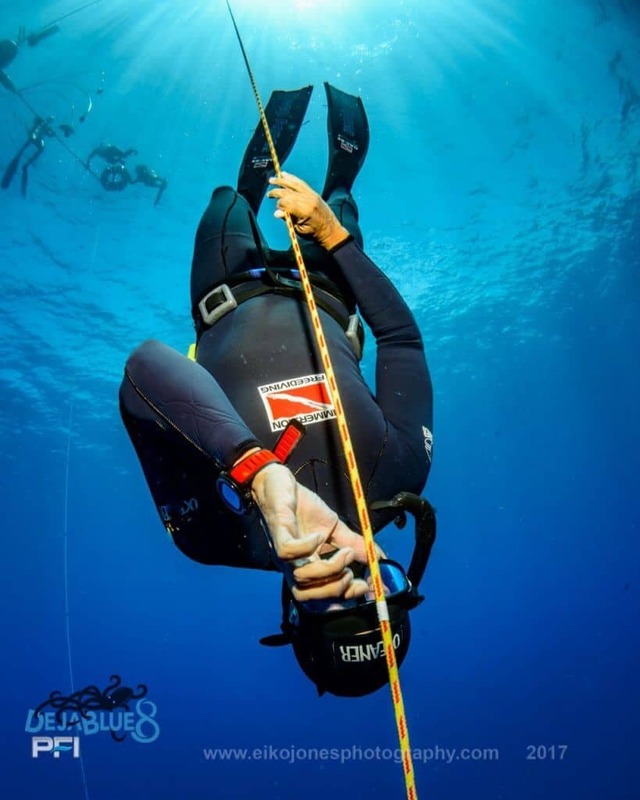 Since that time he broke a USA Freediving record in 2011, won 3 freediving competitions, was selected to be the co-captain of the USA Freediving team in 2012, and his deepest dive is 279ft. Too much lead got you down? April 2009 Passed PFI first official Instructor program. May 2009 1st place men’s overall freediving PFI competition Breathless. May 2011 1st place men’s overall freediving PFI competition Deja Blue 2. Competed head to head against William Trubridge in the Finals of 2011 Freediving World Championships and not surprisingly got crushed. November 2011 Trained with William Trubridge to work on no-fins and Sara Campbell to learn 3 stage mouthful technique. April 2018 awarded Inaugural Dimitris Kollias award for an outstanding job of promoting freediving safety.